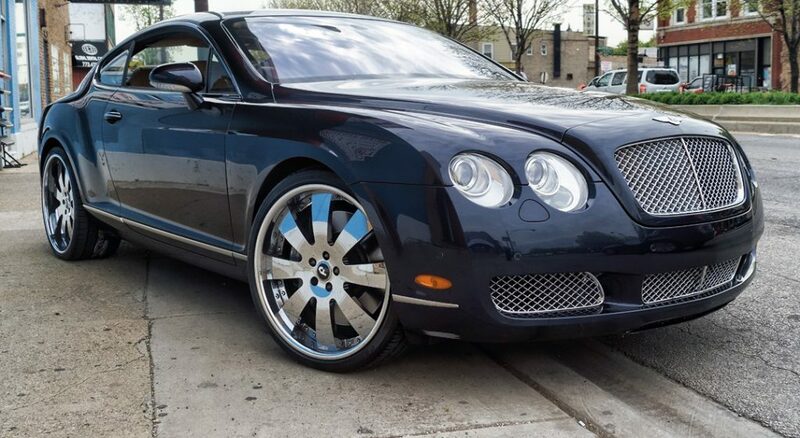 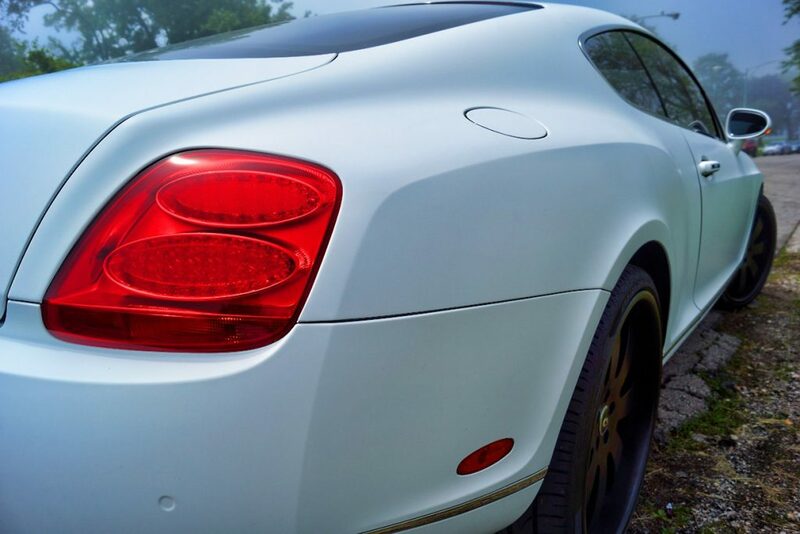 This Bentley Continental went from a deep blue color to a Matte White Wrap. 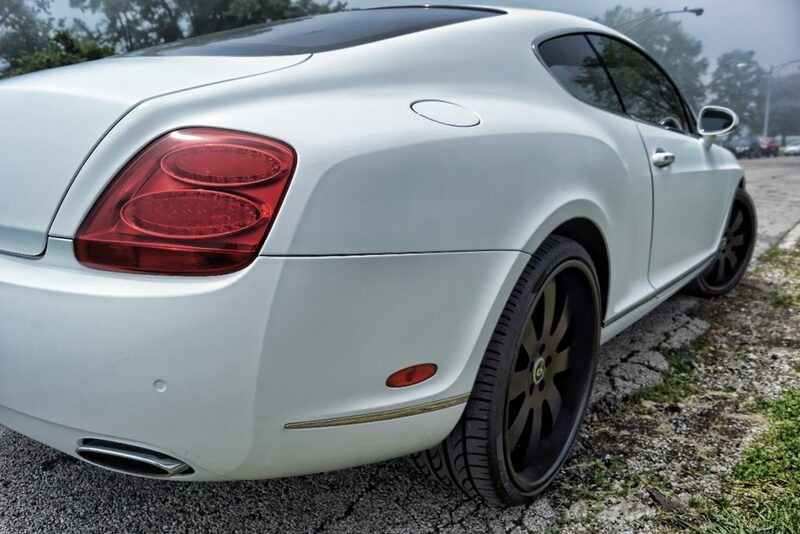 Besides the Matte White Wrap, the Forgiato Rims were Powder Coated a Matte Black Finish. 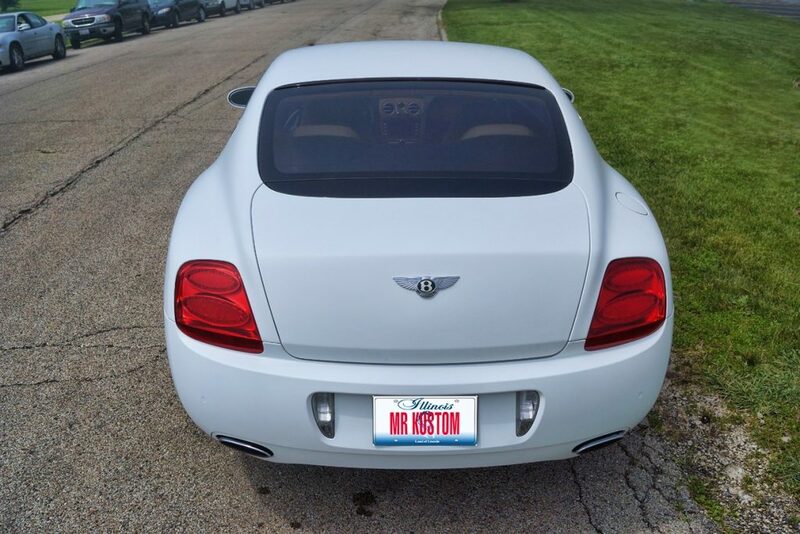 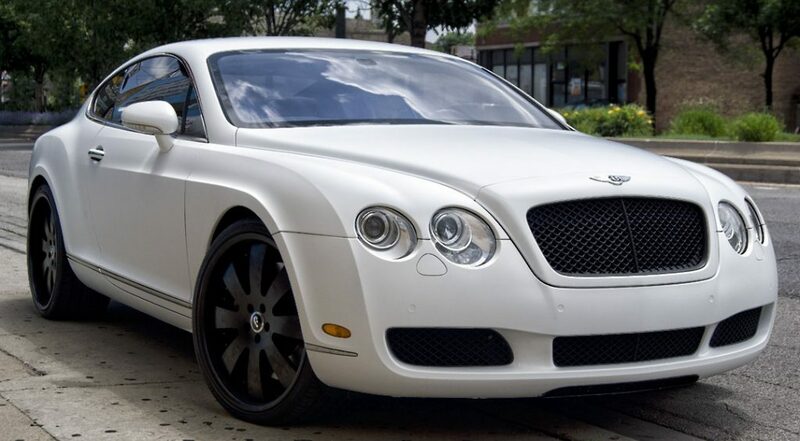 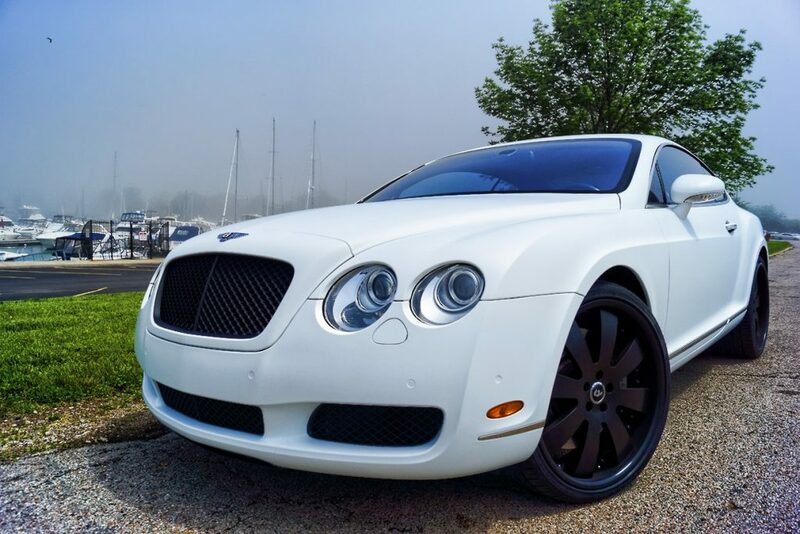 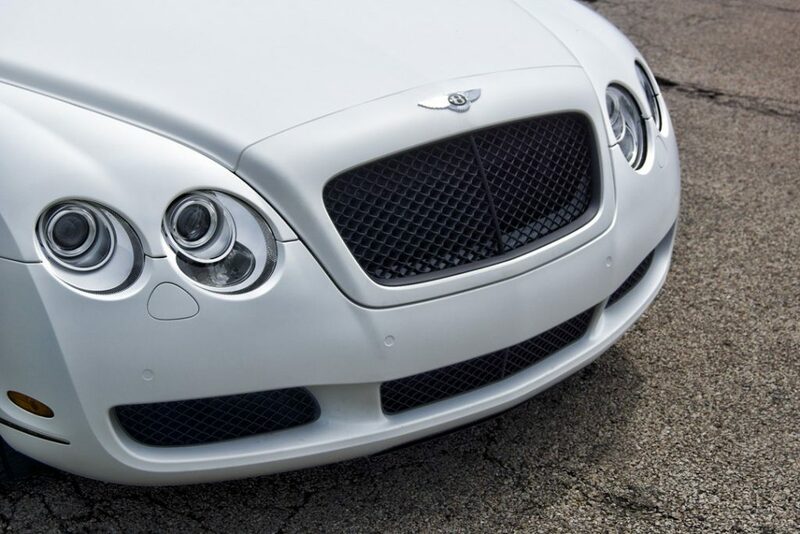 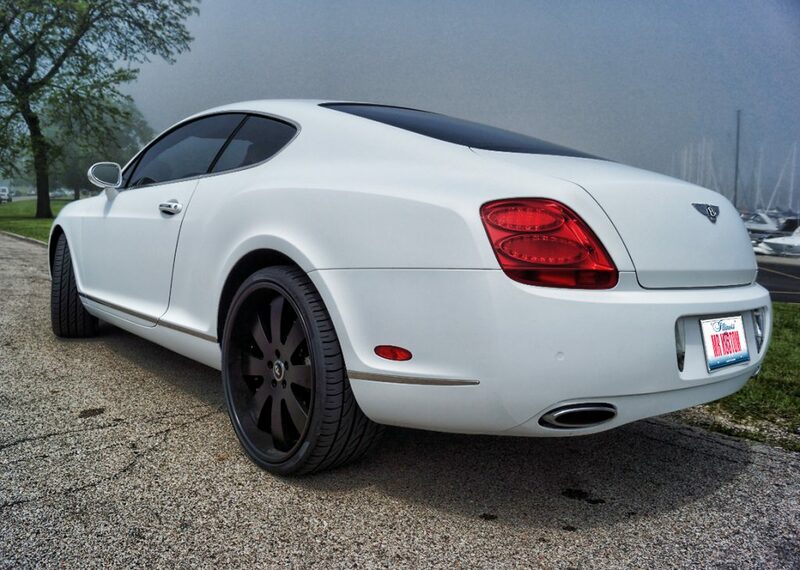 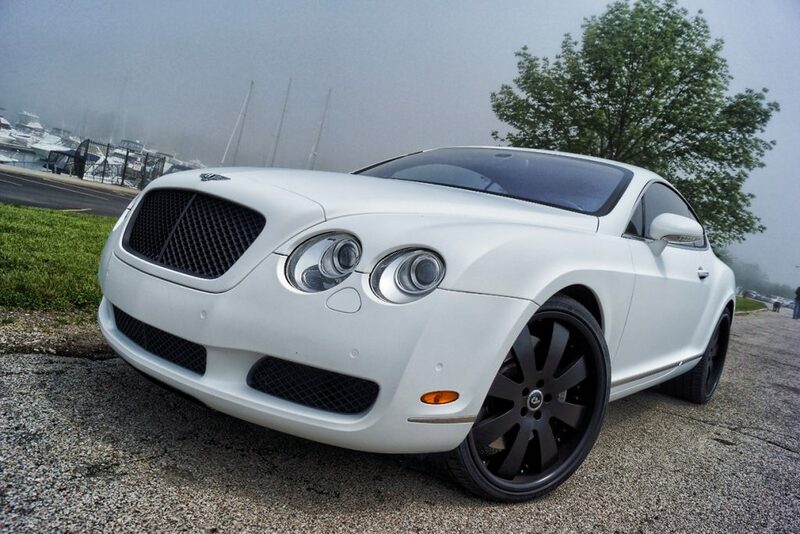 The Matte White Wrap on this 2005 Bentley Continental makes the gorgeous lines of the vehicle stand out! 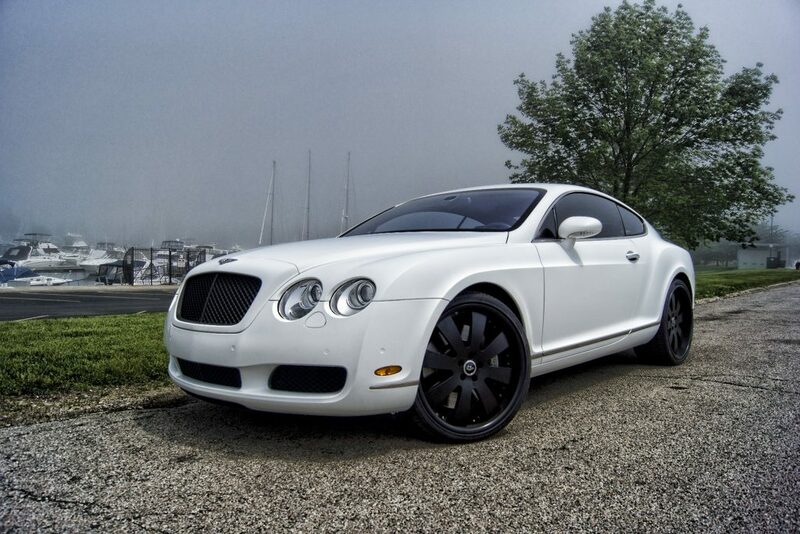 This vehicle went from a deep blue color to a full white and black theme. 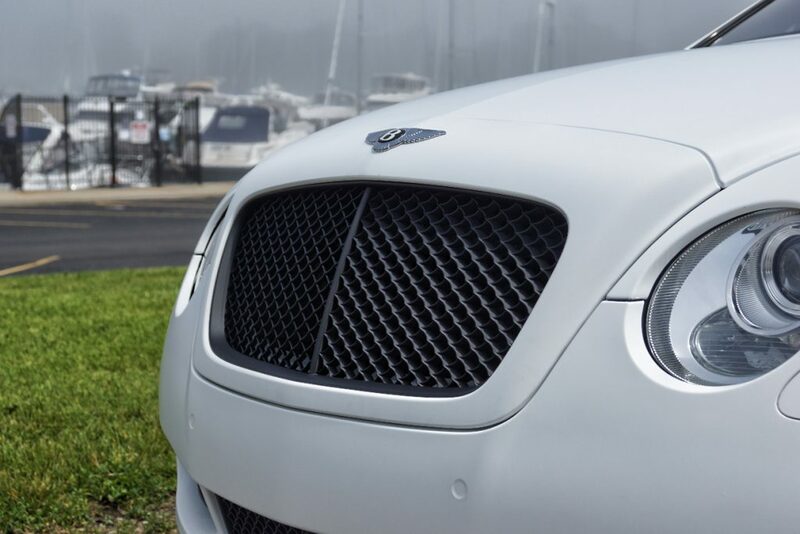 The Bentley Continental’s grilles and Forgiato Rims were Powder Coated a matte black to finish off the white and black theme. 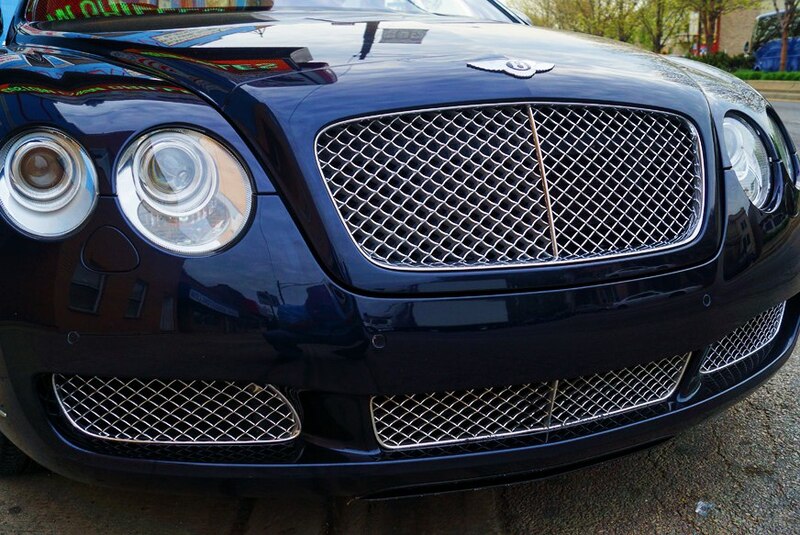 The grilles and rims were removed from the vehicle for the powder coating process. 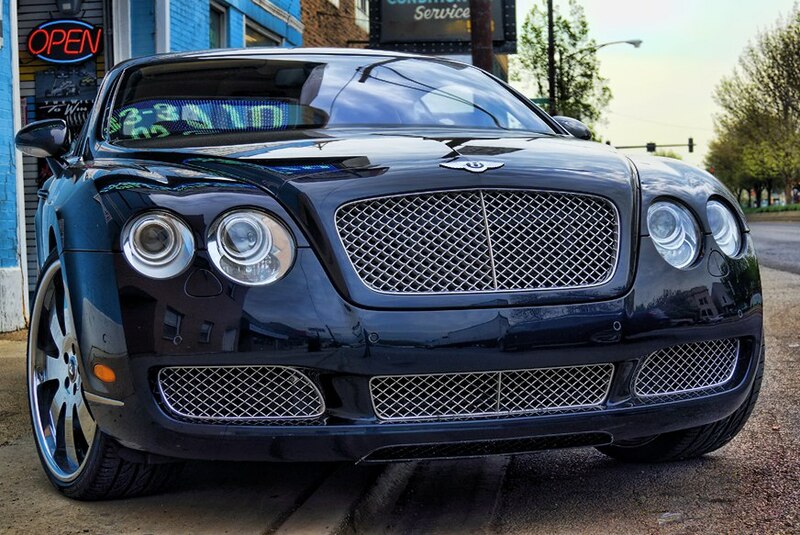 If you’re interested in having your vehicle wrapped, please call 773-583-3770 and speak to an of our specialists. 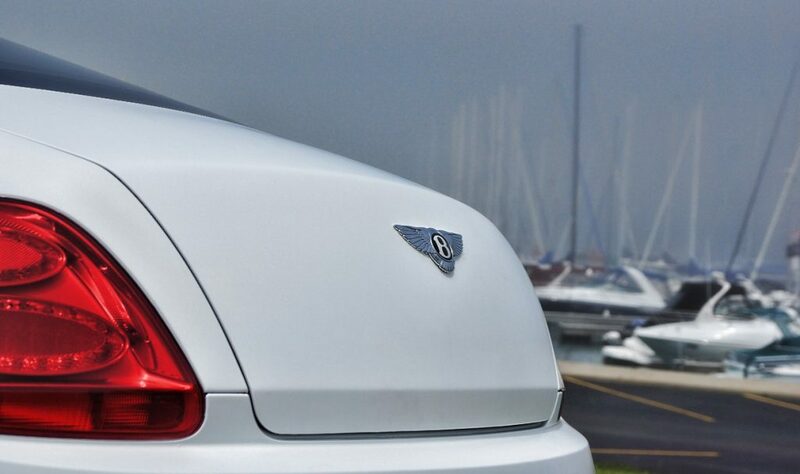 There is no job too big or too small!